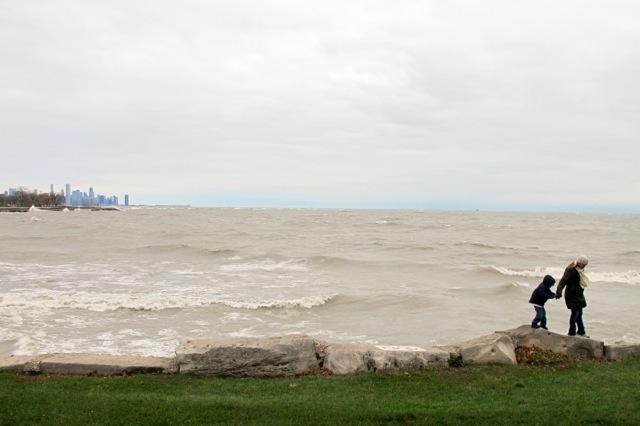 Yesterday we braved Sandy’s winds for a look at the lake. We stayed away from the areas where the waves were crashing over the rocks. Is the final sentence a disclaimer to the grandmothers in the reading audience? ?